Disqus is the best way to build a community out of the comments on your blog or website. But Disqus is more than just a great tool for websites; it’s also a thriving network of discussions from the 500,000 communities connected through Disqus. And we’ve just hit a huge milestone — the Disqus network now reaches over 200 million people per month. That makes us the 4th largest network in the US according to Quantcast. We announced hitting 100 million back in April, so it only took about 6 months to double that traffic! To coincide with this, we’re announcing another type of milestone. Today we’re releasing the fourth major revision of Disqus. This new Disqus (referred to as v4 amongst our team) is comprised of dozens of enhancements, new features, and under-the-hood changes. Everything was designed to improve the usability, utility, and overall experience of Disqus. Here are some things we’re most excited about. Disqus.com has a completely new design that we’re very proud of. We’ve revamped the user interface to be easier to navigate and more enjoyable to use. We were careful to retain many familiar parts of Disqus that worked well, and we believe that the many new changes are intuitive enough to immediately pick up. For admins, we’ve introduced a number of enhancements and refinements to existing tools throughout the website. Just want to poke around the new design? You can start by exploring some of the 500,000 communities using Disqus. Many people using the Disqus website are admins and moderators coming to manage the comments and other activity from their communities. 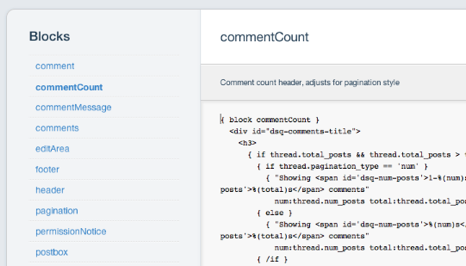 But there also tons of Disqus users who are solely commenters (there are currently over 18 million profiles on Disqus). 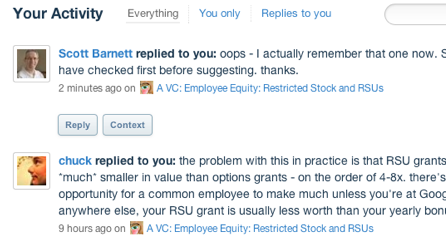 We’re introducing a new dashboard to help you manage your own comments. You can view and search all of your conversations from the dashboard, as well as edit or delete comments you’ve previously made. About a year ago, we introduced Disqus VIP, a premium program for larger websites who would be using Disqus at big scale. Big scale meant that these websites would need tighter integration features, more powerful administration tools, and priority access to support. This was intended to be a fairly exclusive and limited program, but strong interest from users indicated to us that we needed to make these features and tools accessible to more Disqus users. Today, as part of the new Disqus, we’re introducing Add-ons. Add-ons are optional, premium tools and features that augment the core Disqus platform. They’re designed for growing communities that need the best tools and integration available from Disqus. What are some add-ons? Analytics gives you a unique insight into your community and its growth. Single sign-on lets you seamlessly integrate Disqus with your existing authentication system. An advanced theme editor lets you craft your own custom theme for use with the Disqus platform. Moderation logging and reporting are tools that are invaluable for websites with multiple moderators or admins. To view the full list, you can visit the Add-ons page on Disqus. Currently, you can get add-ons by purchasing an add-ons package. You can activate a package on the add-ons page and start using the new features immediately. Packages start at $19/month (good for smaller blogs) or $199/month for the fuller Professional package (designed for pro-blogs, businesses, and networks). As part of the new Disqus, we’re also introducing our new API. This is a completely new API, redesigned from scratch to support nearly everything we internally do with Disqus. It’s still a work in progress, but we’re already very happy with it. In fact, the new Disqus website was written using this exact API. So what can you do with it? Like most APIs, the Disqus API enables developers to interact with Disqus data from their own applications. You’ll be able to integrate Disqus into your own mobile apps, write plugins for more obscure platforms, and eventually you’ll even be able to write your own comment system frontend with this API. There’s a lot of great data in the 160+ million conversations across Disqus and we’d love to see all the cool stuff people do within their applications. 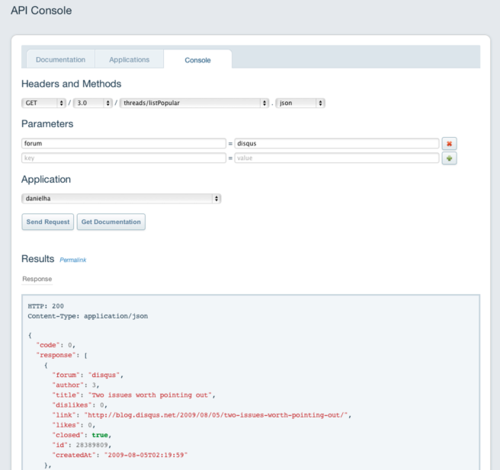 Get started by checking out the new API docs. Disqus also offers a new API console (inspired by Twitter and Hurl) which allows you to run tests. We hope you’ll enjoy the new Disqus. Let us know what you think in the comments! Not yet using Disqus on your website? Give it a try — we think you’ll love the new version.